This object is currently on display in room 213 as part of Iridescence. There are 4 other images of this object. See our image rights statement. 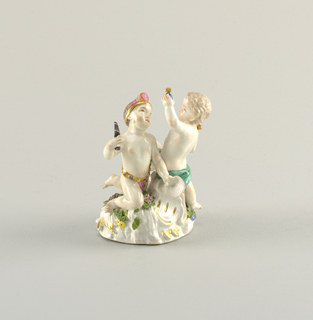 See more objects with the tag ceramics, putti, neoclassical, display. This is a Platter. It was made by Sands End Pottery. 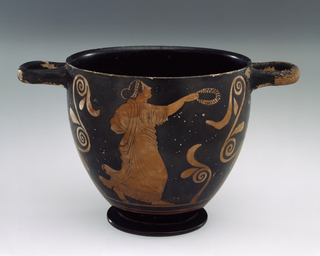 It is dated 1888–98 and we acquired it in 1992. 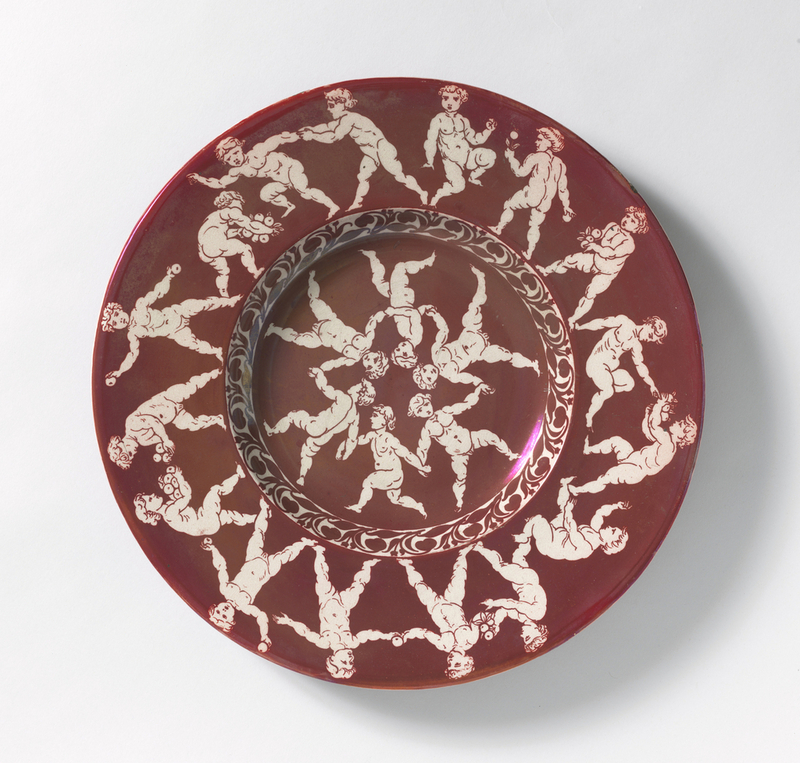 Its medium is lustered and glazed earthenware. It is a part of the Product Design and Decorative Arts department. The British Arts and Crafts designer William De Morgan worked as a painter and then a stained glass artist before turning to ceramics in 1869. 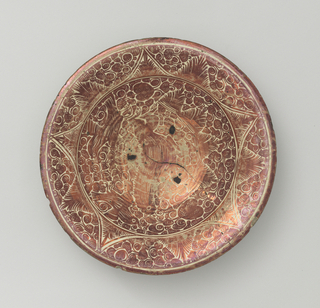 In his tireless experiments with colors and glazes, the designer revived the medieval luster technique. 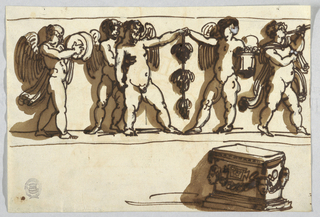 De Morgan freely combined historical references. 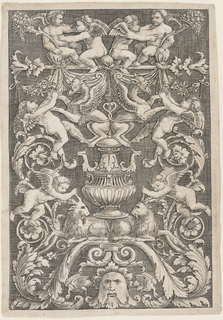 For instance, this platter’s border and central design of putti derives from Renaissance-style patterning. It is credited Museum purchase through bequest of Dona Guimaraes. polychrome, gilt and glazed hard-paste porcelain.